Invesco PMS is renowned as well as popular investment company available across the nation. In this article, we will have a detailed review of Invesco PMS, its Strategies, its Commission Models, its Investment Plans, Returns/ Performance and more. Invesco is a highly leading and renowned investment management company available in India. The PMS company was established by Mr Saurabh Nanavati in the year 2007. Its headquarters are located in Mumbai, Maharashtra. 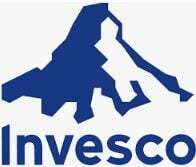 The Invesco PMS company is registered under the Securities Exchange Board of India (SEBI). One of the highly renowned and popular business modules of Invesco is a portfolio management service module. The company is greatly known for PMS services in the stock market. They have a huge range of fund managers who handle their PMS business. Now, we will have a discussion regarding Invesco PMS Reviews, Charges, Returns and more. Invest in Invesco PMS – Fill up the form Now! The table given below is providing the entire details regarding the types of Invesco Portfolio Management Service. Normally, Invesco Portfolio Management Service company is good at providing both the type of PMS- (Discretionary and Non- Discretionary). Most of the people choose to prefer discretionary PMS because, with this type, the whole portfolio account can be managed by the fund managers of the company. And in non-discretionary PMS type, clients choose to get investment ideas from the renowned consultancy for making a final investment decision. The table given below is providing the details of Invesco PMS Fund Manager’s Details. Since Invesco PMS is the leading asset management firm, it has various fund managers to handle its PMS business but the highly experienced one is Taher Badshah who is holding 23 years of experience in the field of asset management. Mr Taher Badshah is an MBA by profession. Normally, the fund managers of Invesco PMS holds AUM of more than 300 Cr. and do handles more than 90 employees. The investment time duration for any client in Invesco PMS is a minimum of 3 years. The table given below is providing the details regarding Invesco PMS strategies. The Invesco PMS company has designed all kinds of PMS strategies for all of its clients. They are normally focussing on large-cap strategy, diversified strategy and small-mid cap strategy. Factors are basically the attributes of a bond or stock that can surely provide long-term and valuable returns. The Invesco asset management company believes that factors investing strategy has the capability to drive accurate asset and investment allocation decisions and all this can assist to enhance the diversification of investment portfolios. Smart beta exchange-traded funds normally seeks to beat the regular benchmark indexes by offering investment portfolio clients the advantages of compliant exposure. Alternatives investment strategy provide clients with exposure to a wide range of investment opportunities apart from traditional indexes, long-term bond and stock holdings and also assist in constructing a highly diversified investment portfolio for the investors. The rate of return of Invesco PMS is extremely impressive and healthy. The broking house is capable enough to beat ten years of MFR (mutual fund returns). Invesco PMS Returns for 3 years is 7.0%, for 5 years is 8.5%, for 7 years is 12.5%, for 10 years is 9.0% and for 11 years plus is 10.5% CAGR. The healthy return rate of Invesco Portfolio Management Services has made the company sort of top-notch PMS solution available in the country. The below-given table is providing a good understanding of Invesco PMS Investment plans. The table given above is defining the investment plans of Invesco PMS company. The company has customized convenient investment plans for all its customers. Normally, a minimum of Rs. 25 lakh is required for making an investment in any renowned company. The Invesco PMS has all types of investment plans available. Bronze investment slab is between the range of Rs. 25 lakh to Rs. 50 lakh. The Silver investment slab is in the range of Rs. 50 lakh to Rs. 1 Cr. Gold investment plan is in the range of Rs. 1 Cr. to 5 Cr. And the Platinum investment plan is available to only those clients who holds an investment portfolio of more than Rs. 5 Cr. Since the Invesco portfolio management service company has all an availability of all types of investment slabs. It has also customized several commission models for its clients in order to provide more convenience and satisfaction. The table given below is providing a better understanding regarding the commission slabs of Invesco PMS. The Invesco PMS company has categorised the commission model into 3 parts. In prepaid commission slab, management payout or commission payout is imposed in advance before the real-time period of investment portfolio starts. 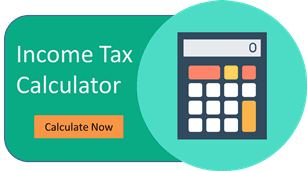 Since it is a prepaid commission slab, the commission charges are comparatively lower than the commission slabs. The prepaid commission slab of Invesco PMS company is completely dependent on the investment volume. If the investment volume is in the range of Rs. 25 lakh to Rs. 50 lakh, the management charges will be 1.5% of the total investment amount. If the investment volume of Rs. 50 lakh to Rs. 1 Cr., the management fees will be 1.4% of the total investment value. With the high level of investment volume like- Rs. 1 Cr. to Rs. 5 Cr., the management charges will be 1.2% of the total investment value. And above Rs. 5 Cr. of the investment portfolio amount, the commission fees will be 1.0% of the total investment value. The Invesco PMS volume % commission model is entirely dependent on the total number of investment transactions made by the portfolio or fund manager. The commission structure also has a dependency on the situation of the market and some other such aspects of the total investment amount. It has a high management fees payout as compared to other commission slabs. In this commission slab, the management charges are imposed according to the loyalty of the fund manager and the market situation as well. If the transaction value of Rs. 25 lakh to Rs. 50 lakh, the management charges will be 0.15% of the total transaction value. If the transaction value is in the range of Rs. 50 lakh to Rs. 1 Cr., the management charges will be around 0.14% of the total transaction amount. For high transaction volume like- Rs. 1 Cr. to Rs. 5 Cr., the commission payout will be around 0.12% of the total transaction amount. And more than Rs. 5 Cr. of the transaction value, the commission payout will be around 0.10% of the total transaction amount. The Invesco PMS profit-sharing commission model is really convenient because the management charges are paid only when the profit value is realized. Such type of fees structure provides high-profit volume and minimise risk also. Profit sharing % commission slab is usually a highly suitable and convenient commission structure available for all the portfolio clients. It is totally based on investment portfolio performance. Basically, this type of fees structure is provided to the existing clients with the asset management company for 3 years and also the clients holding a huge investment portfolio. For a portfolio with a profit value of Rs. 2.5 lakh to Rs. 5 lakh, sharing of profit will be 25% of the total profit value. If the portfolio with a profit value of Rs. 5 lakh to Rs. 10 lakh, the management charges will be 24% of the total profit value. With a high amount of profit value on the investment portfolio like- Rs. 10 lakh to Rs. 50 lakh, sharing of profit will be 22% of the total profit volume. And more than Rs. 50 lakh of profit on the portfolio, the profit sharing will be 20% of the total profit amount. Since the Invesco PMS company has designed very suitable and flexible fees structures. The broking house also imposes some other type of charges including- upfront fees, custodian charges, brokerage charges, depository charges and exit load charges etc. Management Charges- The Invesco company levy management fees according to the fees structure opted by the client and PMS house. Upfront Charges- Upfront charges are charged as advance fees. This kind of charges is levied between the range of 0.75% to 1.25% of the total asset value. Brokerage Charges- Brokerage charges are also levied by the PMS house. It is normally between the range of 0.007% to 0.011% of the total transaction value. Custodian Charges- Custodian charges are charged as per the asset value. This type of charges ranges from 0.17% to 0.27% of the total asset value. Exit Load Charges- Exit load charges normally has a dependency on withdrawal amount and withdrawal time as well. If the withdrawal is made during 1 year then the commission charges will be 0.7% to 1.0% of the total withdrawal amount. If it is processed post 1 year then no commission charges are taken by the PMS house. The Invesco PMS provides appropriate top-up facility to all its clients for huge convenience. It avails login details or credentials to all its customers so that all the clients can be able to check the entire details and reports of their investment portfolio easily. The company provide Email update as well as SMS update facility to the clients for checking the updates regarding all the happening transactions by the fund manager. It also provides flexible investment plans and suitable commission models to all the customers for huge satisfaction. The Invesco PMS house has massive experience in the Portfolio Management Service sector. The Investor PMS house provides call support so that their existing portfolio investors can directly call to their fund manager for any query. Email support is also provided to the clients for the huge satisfaction and convenience. The Invesco PMS company is also good at offering appropriate Relationship Manager Support. Client’s holding a huge investment portfolio can call to their fund manager 5 times in a month and clients with low investment portfolio can call to their fund manager 2-3 times in a month. The issue resolving TAT for Invesco PMS is 11 working days. Invesco PMS is the leading and most popular fund management company available across the country. Their convenient portfolio service management strategies has also given fine results to all the clients. The flexible investment plans and commission models of the company provide a lot of convenience to the clients. The services and support system is also very useful. Are you in search of a portfolio management service company? Go for Invesco PMS and get convenient services regarding the investment portfolio. Fill your details & connect with Invesco Experts. Hurry!!! Still Confused! Fill details & Connect with Invesco Experts. Hurry!! !